In anticipation of the release of my new book The Secret Notebook of Michael Faraday, I am running a special 50% off special on my previous book To Rule the Skies. My new book will be released in May, and is a prequel to To Rule the Skies. The novel tells the early story of Nicodemus Boffin (the hero of To Rule the Skies) from his upbringing as an uncommonly clever boy in the slums of East London through his very unlikely meeting with the greatest scientist of the day, Michael Faraday, who mentors him to reach his full potential. Nicodemus accidentally discovers a secret notebook that Professor Faraday has kept, and strives to keep its contents from falling into the hands of Viscount Whitehall-Barnes who believes the book may hold the secret to immense wealth and power. 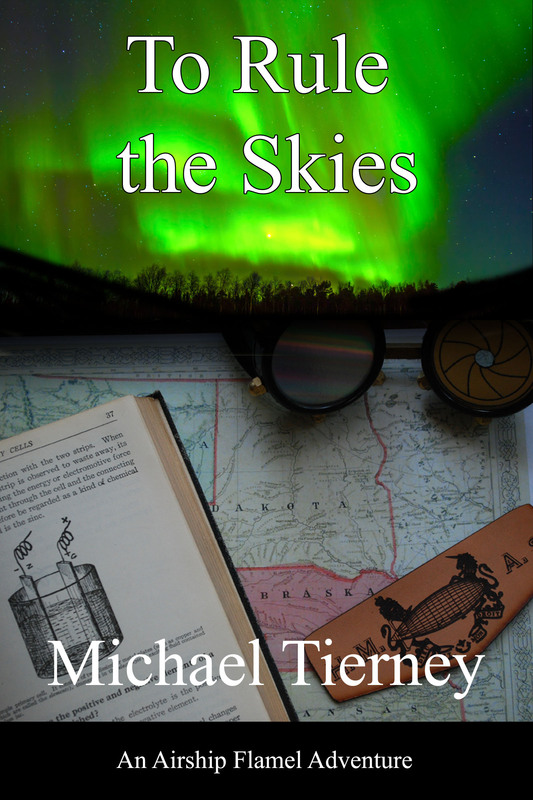 To get the ebook version of To Rule the Skies at the discounted price of $1.50, use coupon code YQ66C . Offer ends on March 12, 2017. I found this article very informative and well-researched. While there is much information about women’s fashions of the time, finding examples of men’s clothes are rarer. I’ll be referring back to this frequently as I edit my next book. Individual Collage Images Courtesy of LACMA, Met Museum, and the Kyoto Costume Institute. Men’s fashion changed very little during the nineteenth century, especially when compared to women’s fashion of the same period. For this reason, I thought it better to provide a general overview of the century, looking at changes decade-by-decade as opposed to year-by-year. In this manner, you can see the slow evolution of nineteenth century menswear, from the Regency dandyism of Beau Brummell to the matched three-piece suits of the late Victorian era. Changes were subtle, but significant, each of them moving men’s fashion one step closer to the elegant silhouettes still evidenced in fashionable menswear of today. An update to this blog post of almost two years ago… The Brunel Museum has now completed the renovation of the Grand Entrance Hall of the Thames Tunnel to be used as an event space. See an article describing it here. During the Victorian Age, when science and technology advanced at a rapid pace, many engineering projects were novel and revolutionary. The Thames Tunnel was one such groundbreaking (pun intended) engineering feat of the Victorian Age, and the one upon which the great Victorian engineer, Isambard Kingdom Brunel, cut his teeth. Not so much an Old House Idiosyncrasy, than an idiosyncratic old house–The Trinity House is a house style from the colonial period that is unique to Philadelphia. These houses were invented to solve the problem of what to do with the center of a large squarish city block: fill it up with alleyways and tiny houses! Here’s a great exploration of these homes from the always interesting website Atlas Obscura. I had wanted to read The Difference Engine by William Gibson and Bruce Sterling for some time. It is widely regarded as one of the first novels to bear the description “steampunk” when it was published in 1990, and rightly so, as the book contains many of the themes and plot devices that have become common in steampunk literature. The novel takes place in an England in which Charles Babbage has succeeded in building his mechanical computer—the “Difference Engine” of the title, although the machine more resembles his more advanced “Analytical Engine”. This event serves as the catalyst to careen the world off onto another timeline, and the authors imagine all the consequences and consequences of consequences that occur to change British society. For example, the anti-technology Tory party loses a national election, prompting the prime minister, Lord Wellington, to stage a coup to retain power. In the subsequent counter revolution, the Radical party comes into power and replaces the hereditary House of Lords with peerages awarded to savants for scientific merit.